One of the greatest and most unnecessary fears of men is baldness. Initial signs, like thinning and hair loss, are enough to send an image-conscious guy into a treatment-seeking spree as if it’s cancer he’s dealing with. But can baldness really be treated? And how long does it take to go bald? In any case, you shouldn’t be asking these questions initially because it might lead you to the wrong solutions, or at least, the wrong outlook. Do you have Male Pattern Baldness Or Hair Loss? 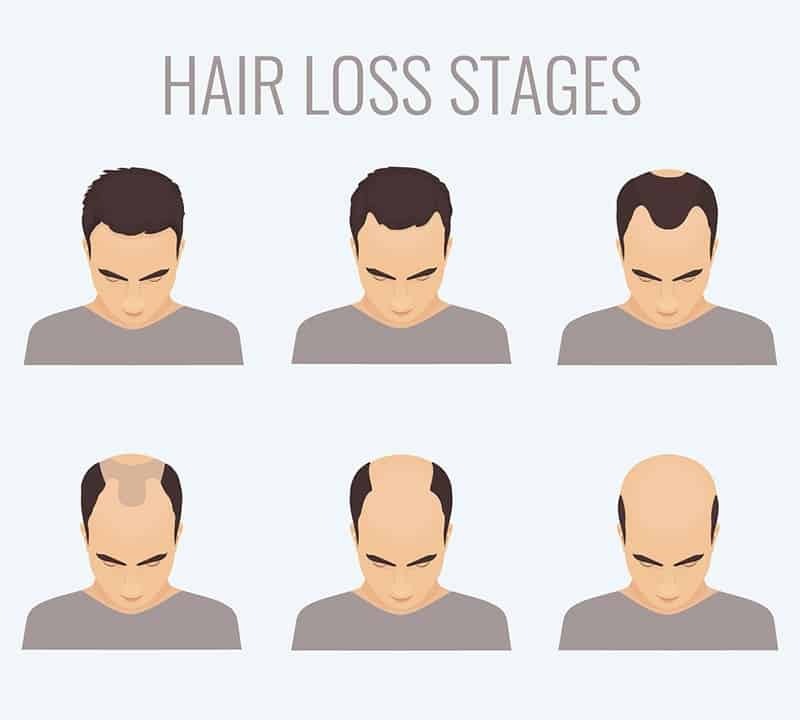 What then causes hair loss? So… How long does it take to go bald? Is there a way to delay the balding process? Can hair loss be treated? ​Understand that these two are completely different, from causes to treatment options. Evaluate yourself by observing specific parts of your head and body, and by looking for the following signs. Curly hair starts appearing above the ears and along the neck hairline. This sign, however, may not apply to some men. Thinning of hair on the top portion of the head. Hair falls out in patches or in circular patterns. Hair on top of the head gradually thins. Roots of the hair are loosened - gentle combing or brushing strokes uproots handfuls of hair. Men with bald or balding dads and granddads already have an idea of what’s in store for them. If, however, the family is okay, but you still show signs of male pattern baldness, then it’s the hormones to blame and not the genes. 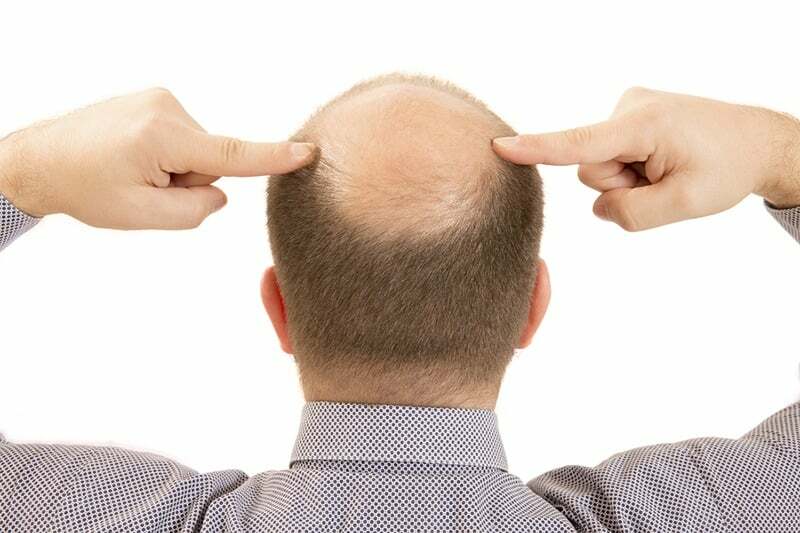 The hormones responsible for baldness are called dihydrotestosterone (DHT). It takes an average of three years for hair follicles to grow new hair. When these are ready to grow past the dermis, old hair will become loosened or fall off. The problem with DHT is that it causes these follicles to progressively miniaturize until it becomes dormant. You may see this hormone as a nuisance -- an unnecessary force of nature designed only to bring pain in the hearts of men. Know, however, that this is also the hormone responsible for your handsome deep voice, manly beard, rock-like muscles, and hairy chests to name a few. In other words, DHT is the hormone that makes men manly. These are more potent than testosterone itself so you also would want them around and in high amounts if you truly value your sexuality. Several conditions result to hair loss -- surgical procedures, scalp infections, presence of ringworms, and stress to name a few. There is, however, what’s called alopecia areata, and this type of hair loss affects both men and women. The manifestation of alopecia areata is frightening, especially to those with a fondness for horror movies. Like the dreaded curse of an evil witch, clumps of hair will fall off and leave smooth patches of skin on the head. There remain more questions than answers on this medical condition. Everything scientists could explain is that it’s the body’s own immune system that’s mistakenly attacking hair follicles. This may come as a disappointment to most, but the answer is; it depends. The process may take some 15 to 25 years. 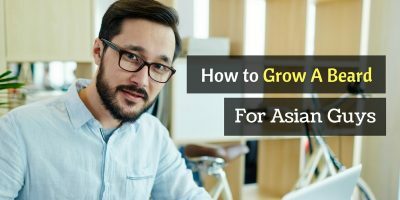 In extreme cases (although it’s quite rare), a man may go entirely bald in 5 years or so from the first signs of thinning. The extent of baldness isn’t the same for everyone as well. 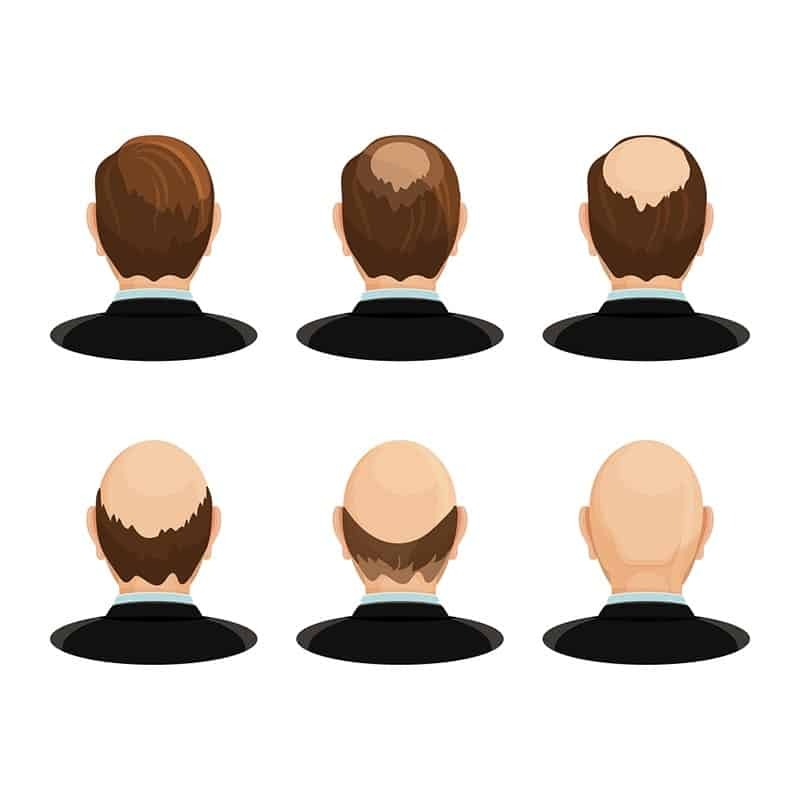 Thinning and hair loss for some men may stop before their hairline reached the crown. Some, however, are unfortunate enough to go bald entirely. Hair loss due to alopecia areata is not permanent. The hairless region will grow new hair after a few months. It is likely, however, for the condition to recur over and over. Those who got the condition before puberty. Got the condition for a year or so. Those with alopecia areata in the family’s history. Those whose fingernails are abnormal in texture, thickness, color, shape, and size. Regular exercise, healthy eating, and overall healthy living is the best way to delay the process. At the same time, according to researchers, should you regularly undergo stressful activities and situations, the process will quicken. The logic behind this is simple; the same genes that trigger graying and thinning hair also does the same for balding. You, therefore, need to slow down aging to delay the process. And this can only be done by living healthily and by regularly engaging in recreational activities. Although different products claiming to treat hair loss have risen over the last couple of decades, the debate on whether it is treatable or not remains and continues. The best outlook towards balding still is acceptance. 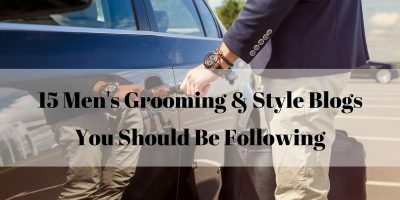 There are two products, however, that experts recommend minoxidil lotion and finasteride to those who extremely need to keep their pretty locks on. Understand, however, that as long as questions regarding hair loss remain unanswered, these can only do so much. To summarize the answer to our burning question, “How long does it take to bald?” it will actually depend on how you eat and live. It may take less than ten years, or last up to twenty. Know, however, that you have the option to delay the process by changing some aspects of your lifestyle. It is also important to factor in what type of hair loss condition you have, and if it will progress to balding at all. You don’t want to fuss over something for as long that won’t ever happen. Not matter how it will end up, acceptance is your best treatment. Besides, it has been supported by science that being bald is manlier and thus sexier!